The Malayan High School of Science (MHSS) is an institution for secondary education with a special focus on science and technology. 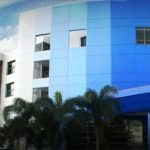 Established in 2005 as a wholly-owned subsidiary of the Mapua Institute of Technology, MHSS was inaugurated the following year, with 112 freshmen starting school in its campus in Pandacan, Manila. Aside from a strong foundation in the sciences, MHSS gives attention to communication skills as well as the arts and humanities.